Exchange for email, contacts, and calendars. SharePoint and OneDrive for file sharing. Microsoft Office for desktop applications. Anywhere Access – Access all your data from Office 365 regardless of geographical location. View, edit and share your documents, email, calendars, contacts and team sites. Use OneDrive or SharePoint Online to save and share your documents. Any Device – Access and share your documents across all devices – PC, Laptop, Mac, Tablet, Smartphone. 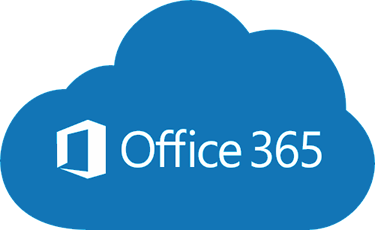 Microsoft Office – Office 365 includes the familiar desktop applications that users work with every day – Word, Excel, Outlook, PowerPoint, Skype. These applications are upgraded when new releases are launched so there’s no Microsoft Office application upgrade costs and all Office 365 users always have the same version of Office ensuring document compatibility. Lower Costs – Office 365 minimises your upfront costs with no capital expenditure in servers or software licenses. As a cloud-based service you pay for the licenses on a monthly or annual basis and receive an enterprise grade solution for a simple and predictable per user fee. Whatsmore, Office 365 is constantly improved and upgraded at no cost to the end user. Collaboration – Collaborate anywhere, at anytime, with colleagues from multiple locations via email, shared calendars and shared documents. SLA and Security – Microsoft give a guaranteed 99.9% uptime SLA within an infrastructure attaining the highest levels of security and privacy with ISO accreditation ensuring your company data is totally protected. Easy Management – Easily manage Office 365 users through a single, web-based administration console. Install Office applications to any machine with a simple click and integrate Active Directory to add and delete users in seconds.